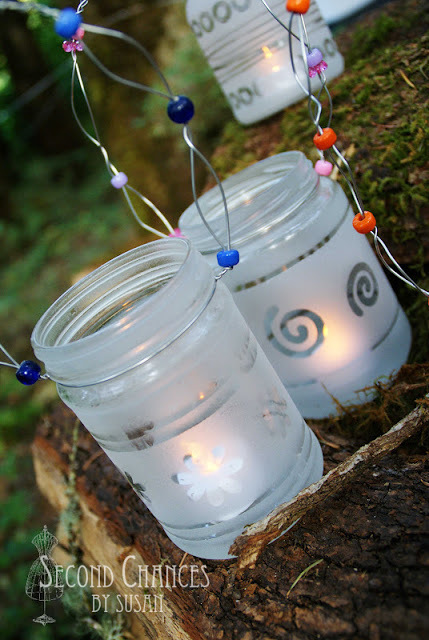 Just some stickers and spray paint can transform recycled jars into fun lanterns. This is actually a project for a camp craft and I love the idea. Get the full instructions for making your own by clicking here. Second Chances by Susan will show you how she made these recycled jar lanterns. Be sure to click over to the original source before pinning this project.